Social Media Selling! Say What? So, with that being said, let’s talk about a less fashionable “S-word”: SALES. Needless to say, whatever your viewpoint is of sales or selling online (i.e. through social media) almost every business (big or small) have/has to use these social medians now a days to make money, while promoting, networking, and marketing… I think others would refer to these along the lines of brand recognition, huh? Furthermore, believe it or not there are quite a few ways that you can insert yourself or business in this space in order to boost your reputation and/or revenue, while not disrespecting the developing social world, which I think is what most people are really talking about here. Yes? In fact, I have identified a couple of techniques for you and or your team to use, so you can take advantage of engagement, networking, and referrals in the new social world. Basically, what I am saying here is that you need to search and develop ideas or anything that reflects on you and/or your business acumen, which offers you the best ability to engage with people who are showing an interest in creating offers you may be considering promoting yourself. 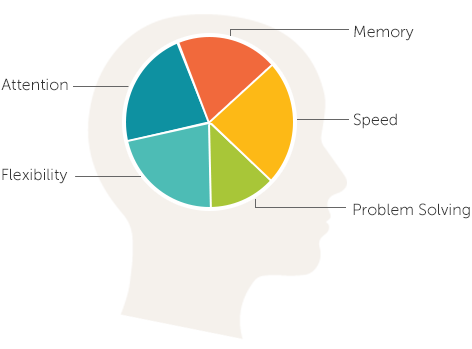 Let us also not forget about some other key components in selling. Listen and/or listening! Perhaps this is the most important part of any sales pitch but one in which many people ignore because most salespeople are tempted to jump straight to the sale in fear of rejection or needing a sale now. Whether you are in person or online remember not to take over a conversation or hijack a comment stream just for a sale, as this more times than not turn’s people off especially if you are complaining about your brand or another person or company. Instead feed people (prospects) information backed up by quantitative research in order to engage, add value, and educate people or companies in order to grow relationships that will lead to long-term partnerships and ultimately more sales and referrals- (this was a big part of my dissertation, so please email me if you would like more information on this). After you have identified people and other businesses of interest, try assigning some sort of “lead/prospect rating” in order to categorize the who, what, and when of first contact in your networking strategy. Lastly, keep records of your data, findings, and future plans for all new or potential sales leads, in your CRM system. If you don’t have a CRM it is about time you put away all the Excel spreadsheets and bought a program such as ACT or subscribed to another system such as Sugar, Salesforce, Zoho, etc if you want to really take on SALES in the new Social CRM world. Depending on what social sites you are part of Facebook, Twitter, FourSqaure, EmpireAvenue, Pinterest, Tumblr, StumbleUpon, etc you need to start or continue to reach out and join other people or companies conversations who are talking about you, your product, service, or other similar products or services in order to showcase to others why they need you or why you or your company can add value to their life or future business plans. Have you ever heard of the old saying… plan the work and work the plan? Well, this holds true online also as after you have planned your networks of engagement, you need to work your leads in order to nurture future sales. If possible let others start and drive the conversation (i.e. a great site(s) for this are LinkedIn or Quora), while you listen (remember this was spoken about earlier?) for the right opportunity/opportunities to add value to that conversation. Remember IT’s NOT ALL ABOUT YOU! Lastly, do not forget that in this new age of communicating and engaging that the customer is not 100% of the time correct but do remember that if you engage properly, while showcasing your skills that you can gain more control even over the most pesky customers. Perhaps you may also want to check out this article out about the shifting customer landscape, as it illustrates and highlights some things (tools) customers use now a days as they communicate (good or bad) online. Don’t forget to develop a personal face or avatar that is the face of you or your business! If you use some if not all of these tips in developing your network, you, and your sales team will be light years ahead of others that still have not decided to take a social ‘online’ approach to selling. If you have or are considering a CRM system? Stop that nonsense already and get your CRM in check and take your socialCRM and sale efforts to a new level by combing them into one approach. If I can help you or your business please drop me a line or if you have any comments, please feel free to comment below. Otherwise, thanks for stopping by and until next time KEEP SMILING! David Dandaneau is a Consultant at [SevenTimesSeven] and a Contractor at [FedEx]. He specializes in helping business owners “manage their business and not their processes!” For more connect with him via his About.Me Page or any of his other social platforms. It is no secret that in today’s world people/companies are investing/relying on social media to keep in touch and up-to-date, while looking to gain new customers and increasing sales. This obsession whatever the case maybe is vital for your personal and/or businesses long-term success (I have a feeling you may already know this), as more and more people turn to the internet to find answers to unanswered questions they or you may have. Whether you are looking for lost friends, starting or sustaining a business, or looking for additional support in a cause you deem important you probably know this and that social media can really make a difference huh? Not only does it help but if done correctly social engagement can pay huge dividends in terms of more supporters, followers, and/or sales? Yes? Although I personally started using social media some 10 years ago, I really didn’t write about any dividends derived from this median until my business partner posed a question to me about Traditional Media being on the Verge of Death in late 2011. At that time, we agreed that traditional media was not on the verge of death, instead it was/continuing to evolve like everything in our personal and business lives. Using that same frame of thinking now, I would like to know whether or not you think Traditional Marketing/Advertising is on the verge of death? Well if you know anything about advertising you would know that this is also NOT the case, as more and more companies still are/continuing to use these old medians to relay their messages on a larger scale and aimed at their specific local, regional, and global target markets (i.e. TV, radio, billboards, magazines, newspapers, etc.). However, unlike social media where people and companies can communicate instantly with their friends, followers, clients, potential customers, etc. these older forms of advertising merely provide content and/or images to help sell/educate others about themselves, their products and/or services. Still effective but not nearly as effective as social media has and can be… right? 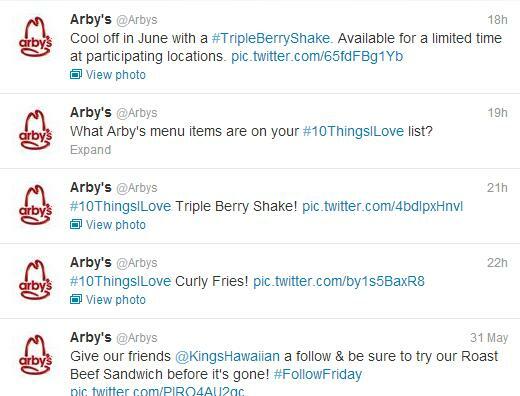 Let’s see how some of the people, companies, and brands I follow, shop at, and work with are using social media (more specifically Twitter accounts Arbys, Target, FedEx, & 97X) to communicate with their customers. From this brief view of these chosen Twitter profiles you can see these companies and individuals behind the tweets are using a variety of hashtags (#), lists, chats, tagging, and/ @username, @mentions, @replies and @connect to engage their audiences. In fact, by using these medians/tools these companies don’t have to pay much for engagement, plus they can integrate these into their other online platforms (creating more reach) rather easily while providing feedback, supporting sponsors, customers, running contests, etc. How great right? What’s even better is if you do have a genuine problem or complement to provide organizations such as these, you can message, tag, or @them you can expect a reply most if not all the time in 24-48hrs… now that’s advertising that works with real ROI and track ability isn’t it? 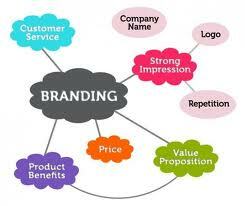 Even though some traditional forms of advertising can be used to engage customers (i.e. coupons, snail mail, telephone, email, etc.) for many social media is the one that should be used more to create ROI that is almost instantaneously for many different causes. Other big companies like McDonalds, TMobile, Publix, etc. also provide their online social media followers with news, information, coupons, and give-a-ways to spread their message(s) and provide product/service updates. All of the aforementioned Twitter accounts along with those and many others just mentioned are also using #hashtags to imprint their digital footprint, while increasing brand exposure and reach. 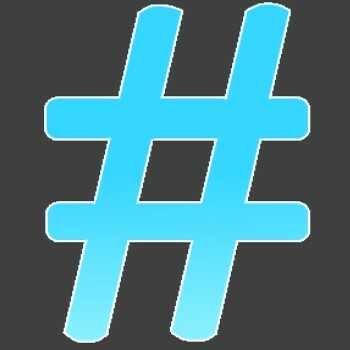 Yes, #hashtags one of the most important features I have found to be the most relevant in a business or even personal reach viewpoint. Why, well it’s simple more and more people use what is now referred to as Googling to locate data, information, and reviews of products or services, which ultimately these #hashtags help bring to the forefront of most search engines. By creating personal or business #hashtags whether on Twitter, Facebook, Instagram, FourSquare, etc. you can help yourself and/or company grow while helping others locate reasons why they need you, your product, or service. Make since? Good, now with just a simple creation of a unique #hashtag you and or your company is set to engage, receive feedback, and provide a more customized approach to customer service without having to spend big bucks doing so… thus increasing sales, ROI, and your online reputation. If you haven’t already, I would love to connect with you on any or all of my social networks, so we can all stay connected, while continuing to learn what people, clients, and customers really want #LetsStayConnected while providing #CustomerService that is #OutofThisWorld! Until next time continue your #Marketing, #Advertising, #Sales, #HashTags, and #SocialMedia engagement so you too can create a solid foundation and positive digital footprint. David Dandaneau is a Consultant at [SevenTimesSeven]. He specializes in helping business owners “manage their business and not their processes!” For more connect with him via Twitter @ddandaneau or any of the other social platforms you may find him on. Throughout the last decade, people and organizations have continued to adopt technology in order to enhance themselves and/or their businesses. In fact, with all the technological influxes we have all experienced over the years, it is no wonder that our brains also keep expanding or are you like me and finding your brain having a hard time keeping up? Needless to say… would you agree that these technological improvements and advancements, regardless of nature found in our lives and businesses are helping us run easier or do you think that they are bogging us down? Customer Relationship Management (better known to many as CRM) is one such concept not only evolving in our own personal lives but also many of our businesses like I have mentioned many times in previous posts. This concept, which once only applied to us managing relationships in a personal setting, has now become an integral part of our online existences. Whether you look at CRM as a tool, in a business setting, or in your personal live, there are many CRM resources that are now available to us, which can help monitor SOCIAL activities (CRM systems), while providing quantitative (DATA) that you or your business can use to ultimately drive new relationships and increase sales by providing a personalized approach to your friends, colleagues, and potential friends or clients if used correctly. It was one believed that only progressive or large corporations were the ones investing in CRM. However, most if it not all of these same organizations failed (are still failing) to accurately quantify what benefits they derived or are deriving from a CRM system, which many believe has halted their advances in dealing with customer issues and relationships through CRM. What’s interesting is if you look at these companies (many studies out there) you will almost always find that most of the time it was not the systems fault but instead the people and/or companies using these systems, as they never really figured out a way to clearly define what they wanted (will Want) out of these technologies… now enter SMALL BUSINESSES! In today’s day and age (especially with the advent of social media) customer engagement has become/becoming a key emphasis in almost every business(es) long-term strategies (i.e. the whole who, what, when, where adage)… how to interact with customers, friends, and acquaintances in order to grow. 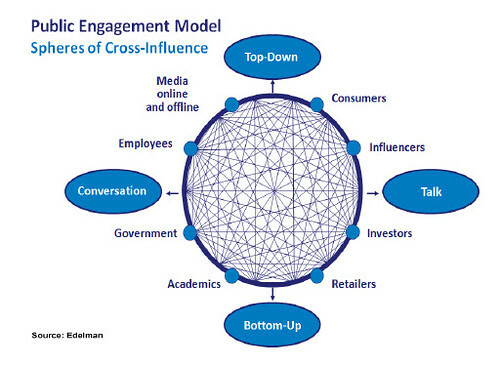 One thing in certain and that is this integration of customer relationship management by anyone with access to social media is giving everyone regardless of size, location, age, gender, race, etc the ability to stay in touch while voicing their opinions about people, businesses, governance, etc. to name a few. Does this sound familiar? Now enterSocialCRM. 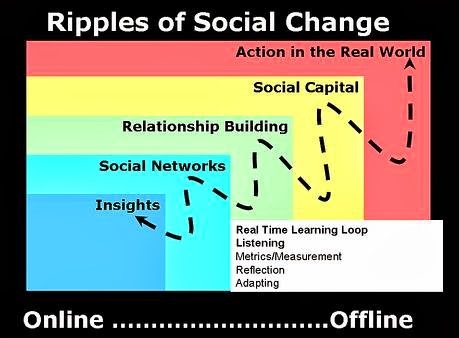 Although not 100% defined yet, SocialCRM is Customer Relationship Management in a traditional sense (personal communications) but instead of focusing on the system, more people and organizations are focusing on the channels that their friends and customers use to voice their concerns and opinions. In other words… ENGAGEMENT of the PEOPLE! 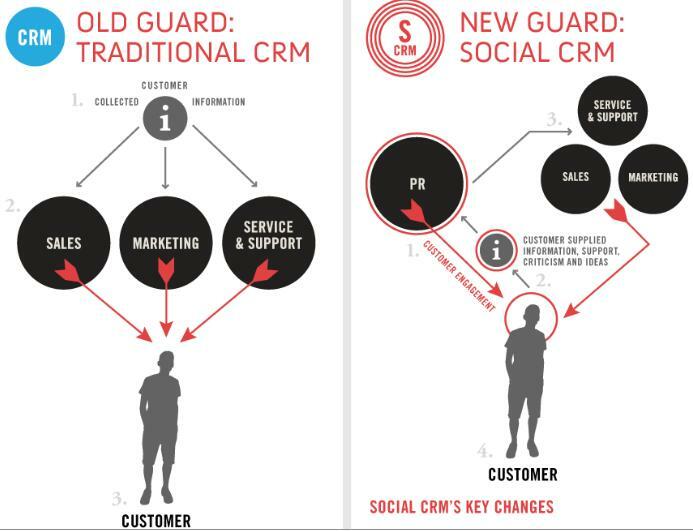 In a nut shell, SocialCRM is not some new system, rather it is a new way for people and businesses to integrate social media into their customer relationship management practices to better predict behavior (personally or professionally) in order to enhance either your personal or professional brand. Make sense? Needless to say, there are hundreds of examples now available to just about anyone with an internet connection of how they have and/or are using CRM strategies combined with SocialCRM to enhance relationships and monitor progress, while putting quantitative data behind their actions. In fact, I ran across this article Big Brands’ Journey Toward Social Business, which is what spurred me to re-visit this subject while providing our readers with yet another resource and basic explanation in order to help in understanding how other brands and businesses are successfully adopting SocialCRM strategies to connect with their audience(s), react to inquires, and give their customers what they want (I liken this to the saying, GET THE PEOPLE GOING by GIVING the PEOPLE WHAT they REALLY WANT) not what you or your company may think they want. The important thing to remember about all this is that people and companies that include online with in-person relationships through technologies such as CRM and Social Media will be rewarded by their old and new acquaintances with new personal and professional relationships that hopefully spur growth and innovation… now that’s truly SocialCRM! 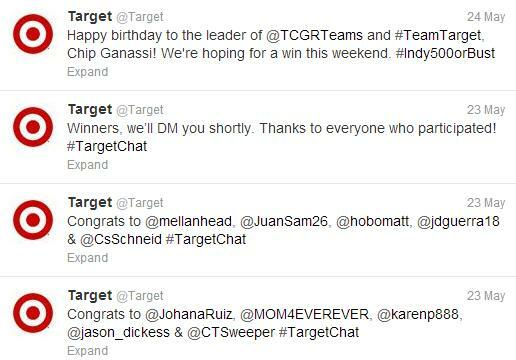 5 Tips to Ask in Order to Run a Successful Social Media Campaign with Increases in ROI and Sales? Yes! 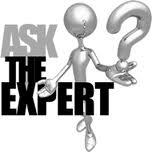 As many of you know, finding an experienced professional to assist you with anything in life can be a daunting task. Also, as many of you probably know there are so many people out there that you speak with everyday that consider themselves “experts, connoisseurs, sales guru’s, geeks” of the trade(s), etc. Well as we both know, these so called experts or what have you, don’t actually have the experience that you may often find yourself needing… good advice, that actually works or saves you money? Yes? Needless to say, we also continue to run across these same people in our line of work (especially social media), who claim to be experts but are nothing more than users who participate in things in a limited capacity or in social media words… in the basic sites such as Facebook, YouTube, or Twitter. So, for this week’s discussion, we thought we would provide you with a few things (5 Tips) to consider or ask when you are considering putting together a social media campaign. 1) The very first question you should ask someone that you are considering letting them help you with your online engagement is what sites do you operate personally or for your company and could you please provide me with the links to check them out? · Now that you have their attention, see if they provide you with more than just a Facebook or Twitter account. It is crazy to think about but many experts stake their claim on these sites and these sites alone. However, the truth is social media didn’t start with these sites nor are they the answer to everyone’s needs. Look for people/companies that give you links to blogs and old school forums, etc. Also, look at how long they have been ACTIVELY participating in online activities, since participating for 6 months or a year or two definitely doesn’t make you an expert. Just ask Melcolm Gladwell who wrote Outliersand 60 Minutesused to run a great piece on. Think 10,000 or 10 years (well maybe not that many) but at least look for 3,000 or 3 years of activity. 2) The second question you should ask the so-called expert you are talking to is whether or not they are familiar with or know of any restrictions in online activities for your specific needs or industry segment. · Let’s face it much like people would like to tell you, in online or social media activities there is not one size that fits all approach… mush like Professional Employer Organizations (PEOs), Customer Relationship Management (CRM) services, etc. Sure you can participate get quotes for all the companies or operate on all the mediums but most people/businesses should stick with 3-5 networks. A good example is our consulting practice. We consult with clients on PEO, CRM, and Wireless Devices, so these are our ideal clients (companies who offer and those who also need these services), as we know the industry extremely well and any limitations that we must consider on their behalf. However, we don’t run social media campaigns for law, pharmaceutical, alcohol, etc, as we are not familiar with these segments. Sure we could figure it out but you really want a professional or business to help in your social networking that lives, breathes, and knows the industry and more importantly, where your customers hang out! 3) The third question you should ask your so called expert is their overall opinion (personal opinion) of the industry and how thinks might change in the days, weeks, and months ahead. · This is a great question, as it usually lets you know where exactly the person or company started their online activities, why, and what they are trying to accomplish on a personal level. If they say they do it cause it’s their job… RUN! However, if they start out by telling you some of the reasons they started to participate in chat forums, started their own blog, or why they originally joined MySpace or sold stuff on EBay these are more than likely the people you want to deal with, as they have a personal not just a monetary investment in social networking. Also, this should clue you in, as to what other networks that they think will be the next Facebook, much like Pinterest, FourSquare, Scoop-it, etc are becoming. The true expert lives and breathes whatever they are an expert in, so they should/will always have options for you when things are not going as well as you think they should or how they are going. 4) The forth question you should ask is who will help develop, manage, or engage your specific audience? · It still amazes us how many people and businesses think that social media begins and ends with a post or the creation of a Facebook page or Blog or better yet how many likes, followers, or friends you can acquire. Shoot that is the easy part about social networking… creating the sites and adding people, what is difficult part is keeping people interested, engaged, and coming back each week (CUSTOMER SERVICE). This is often the more expensive part of social media but a good investment, if you or your company is really serious about taking the next step online and something more people/businesses should be concerned about if you are looking for that so called Return on Investment (ROI). We cannot even tell you how often we see idle accounts out there that were set-up and abandoned, even some of our client accounts. Why? Cause most of the time just like in person, people and a lot of businesses do not know how to interact with others online or what they want to accomplish even if you tell them. What is the worst that can happen? Someone de-friends, un-follows, or leaves a negative response? Rejection and acceptance are both part of life, so in order to be successful online; you have to interact with others. You cannot just develop an account(s) but you must also manage and engage, so this is a very important question to ask your expert! 5) Finally the last question, and perhaps the most important (ROI) you have to ask is how exactly social networking will improve a person or business and the measurement scale your expert will use to claim a SUCCESS! · This is probably one of our favorite questions to answer because more times than not, our answer doesn’t have anything to do with likes, followers, or friends. Instead we use tools that were created for measurement such as Kred, Klout, PeerIndex,EmpireAvenue, and Google Analytics. Of course these tools do consider your Facebook, YouTube, Twitter, LinkedIn, Google+, FourSquare, ETC. accounts but remember that they also measure your level of interaction. Of course, these sites are not perfect but remember the more you interact with your friends, followers, and acquaintances, the higher your scores should go. If you are a business, these should also translate into more calls, sales, referrals, etc (ROI) plus the more you interact the more likely you are to create chatter that is positive even despite any negatives that others may have previously left. Each week we try to take our daily personal/business conversations and translate them into the online world for others to view and use. This week is no different, as we hope that these five tips can help you decide on a person or company best suited for your online “social media” and other activities. Of course, this is only the tip of the iceberg, so if you need any other advice, please don’t be afraid to ask us or contact David Dandaneau directly, as we are here to help. Otherwise, we will see you back here again next week, with another tip brought to you… Well, by YOU! You know the story… Keep Smiling Kidzzz! 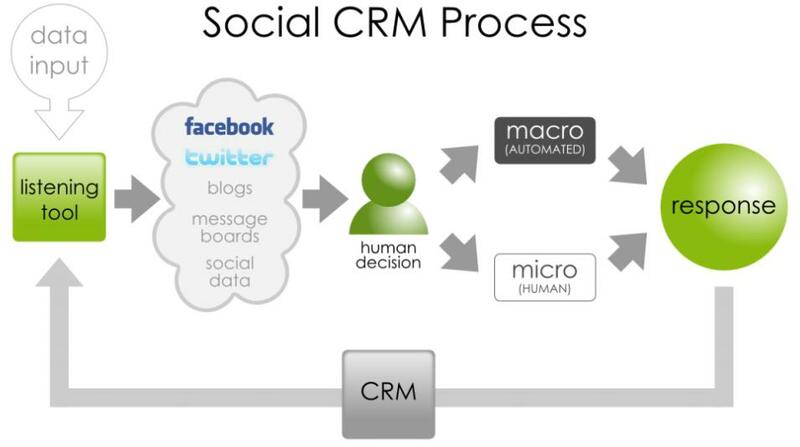 Social Customer Relationship Management (CRM) or (a.k.a Social Media CRM) Can Produce or Increase Sales by 12%. How so? As many of you already know Seven Times Seven headed by David Dandaneau is (are) dedicated to bringing answers to questions in our weekly tip each week that we come across. This week is no different, as we continue to navigate (7) difficult but extremely important segments for an organizations long-term growth and survival. This week in particular, we have had a tremendous amount of inquirers into Customer Relationship Management (CRM) and it’s (the systems) effect(s) on business performance & sales, which just happen to be some of the things David Dandaneau has been researching over the last 3+ years, as part of his Doctoral work. 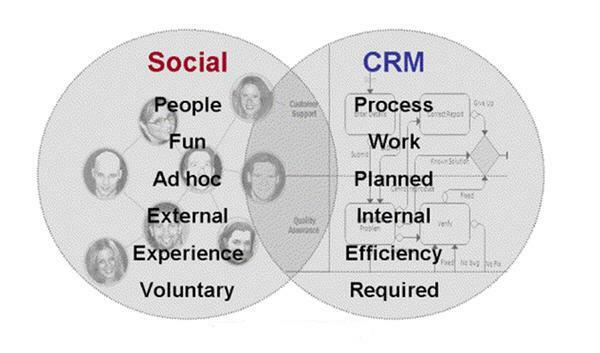 What is crazy to think about is that every day we ask clients and individuals if they are familiar with CRM? They usually respond with the answer Yes! So, why the inquires now? Next question… what system are you using and/or what are you doing with the data you collect? Much to our surprise, many of you are still using the basic CRM systems such as ACT, Capsule, etc. Why is it that more of you have not moved yet to Sugar, Salesforce, Zoho, etc. 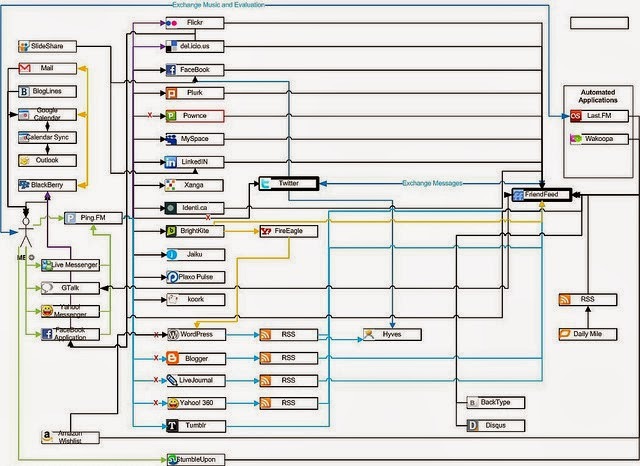 so you can collect more data and sales leads integrated with your website of blog? Well, if you are like most people a CRM system is something you probably bought or subscribed to in order to help you remain better organized and track issues (contact manager)… Yes? Well, if so let’s take a minute to look at some of the latest research trends and “statistics” in order to see if we might be able to make CRM (whatever system you use) work for you “more sales & retention”… not against you in order to produce some sort of Return On Investment (ROI). So… What Needs are YOU looking for? When a person or organization begins to look for a CRM provider or system, you will soon realize that there are tons “thousands it seems” of solutions available to fit almost any need, just like with Professional Employer Organizations (PEO), Mobile Solutions, or Social Media (SM). However, the one question you must ask yourself first with CRM much like the others, is what are you trying to accomplish with it (CRM) and how can you pull everything together? If you are like any normal person or organization, you should also be asking yourself what ROI will whatever system I (you) chose produce for me? 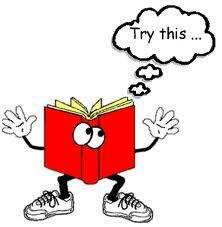 The answer is simple… pick a system that allows you to retrieve information (i.e. offer white papers in exchange for contact information) and store it, so you can turn this information into leads and a resource, just like with social media… use the data to convert more inquires into sales, Yes? Also, let’s not forget to ask ourselves how can you (we) share information or help your (our) customers with the information and/or analyze the data we (you) collect with a CRM system to produce ROI? Just like social media or wireless device innovations (iPhone, iPad, Droid, etc), CRM (bringing systems together) should not be about what other people/businesses are doing but instead about what you and/or your personal or business needs are or in other words “what the customer wants.” With almost any PERFECT CRM implementation (on the behalf of the customer & organization), you should see customer retention and sales COSTs continue to decline overtime and organizational or personal profits increase over that extended period of time if utilized correctly. In a recent study it was found that “social” CRM or in other words social media or mobile CRM can help an organization or more importantly its sales force increase productivity and benefit by as little as +12% if used correctly. What’s more, is that this same study produced by Nucleus Research found that on average 21% of those people (organizations) or sales forces that use(d) social CRM, seen sales increases as much as 20%. Furthermore, this statistic equates to approximately 4 out of 5 companies that use/subscribe to a social CRM approach and integrate external sources such as Facebook, Twitter, FourSqaure, EmpireAvenue, etc with their CRM application(s) could expect returns (ROI) as high as 47%… crazy huh? What is even more shocking is that this particular course of action does not even take into account your mobile campaigns (25% increases), or RSS feeds through Pinterest, Tumblr, StumbleUpon, Etc (additional 22% increases). Since the research and data points to increases in response, interaction, retention, and sales why are so many people (organizations) still reluctant to use and/or subscribe to a “Social CRM” solution? Or more importantly why are you (your team) not using mobile CRM applications “especially on your mobile” to convert leads into sales? The fact is and from our conversations, there are that still many people that still do not understand how all these systems work together or how to put all the pieces together or leave a footprint behind when meeting or following up with someone. In the Nucleus study, it was clear why; as only 16% of the 223 executives actually knew that, this was a total approach to business evolution, retention, and additional sales, which is hard to believe. 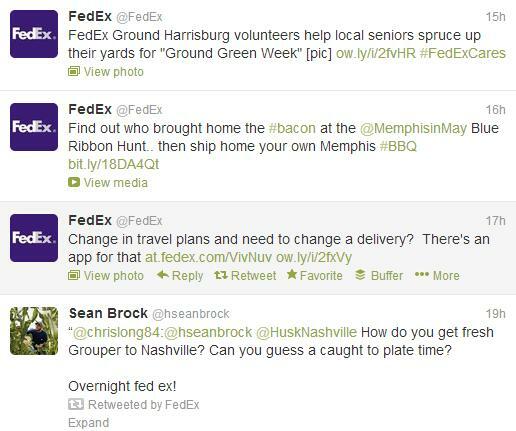 Perhaps as more people turn to social media to solve customer issues left on sites such as Yelp, Google, Yahoo, etc. and by participating more in sites such as Facebook, LinkedIn, Twitter, etc. more people will understand that CRM (especially mobile, as this has shown to increase productivity by +20%) should/will be an important part of their overall long-term strategy of conversing, linking, and connecting the dots (i.e. or at least a part of the solution) to increase sales. From this short but direct post, we hope that you (your organization) realize the benefits that CRM, social media, and mobile campaigns can/will have on your overall success. As we continue to move further away from websites and more towards mobile phones, blogs, and social media for interaction, we will continue to rely upon CRM to help us stay connected to our friends, followers, and clients. If you have not yet made a decision on a social media, CRM, or mobile strategy don’t worry, as you still have time to make a decision. The important part is that you now start to think about it and about how all these systems work or can work together to help you and your team excel. Not only are these systems important to you but also to David Dandaneau, as these are large components to his research and the results that will be reported in his dissertation over the next several months. Therefore, if you would like more information or to participate in his study, please feel free to drop us a line or contact him directly by posting a comment. Otherwise, and like usual we will look forward to seeing you right back here next week with another Q&A session brought to you… well, by YOU! Cheers! How do you decide on the Right Company and/or Professional to assist in a Buying or Outsourcing Decision? As a person or business owner, you may often find yourself asking difficult questions and often coming up with little to know answers. Does this sound like you? If so, how do you know who to trust or how to evaluate a company and/or their credentials in order to decide if they can actually serve you and/or your business needs? Regardless of the industry and/or business professional, that you may be dealing with most industries have standards that you can use to evaluate not only the staff but the entire business and industry, which may be as easy as performing a Google search. However, the fact is most people and businesses do not actually have the required time to invest and/or research a particular industry (even so called Googling), so they often call on third party facilitators to oversee a particular business or personal purchase decision. These people whom you rely on and often referred to as consultants, brokers, advisers, etc maybe the solution that you are looking for or are they? The question still remains… and that is how do you really know whom you are dealing with? Here are some questions you should ask yourself when deciding on the right professional or company to help facilitate any buying decision. Can anyone be a doctor? The answer to this question is simply no, as there is schooling and there are requirements that all doctors must go through before they can actually advise you or prescribe a remedy. And yes, this includes doctors, other than those doctors you go to see for medical illnesses. Can anyone be an attorney? Again, the answer to this question is no and again there are many years of schooling and tests that a person must go through in order to represent you in court, help you start a business, or help you fight for justice. Can anyone be banker? Well, this is a tricky one. 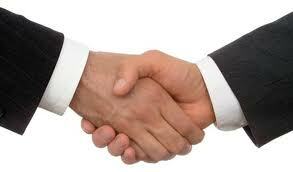 There are many good bankers out there that can help facilitate a loan or advise you on a good investment. However, if you want a well-respected and reputable banker (Financial Consultant) then more times then not you would be looking to deal with someone who yet again has had extensive training and/or education; otherwise, their advisements may end up costing you your life or business savings, just ask all those who trusted Bernie Madoff or ENRON with their money. All too often, even after asking yourself or evaluating a business or professionals credentials or answering the aforementioned questions many people and/or organizations will still move forward with a purchase or outsourcing decision without understanding the real danger that these decisions may pose over the long-term. Much too often these decisions maybe influenced by price, friends, and/or other companies that have done business with these people or organizations in the past. However, rest assured that in this new age of digital communication, well respected businesses and people are here to help advise you on almost any personal or business purchase decision. 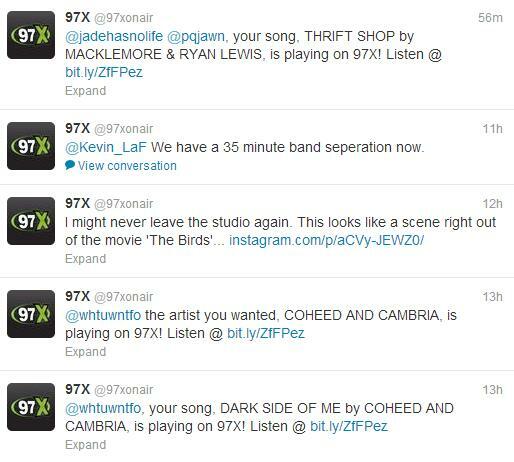 For instance, here at Seven Times Seven, we advise people, organizations, and communities on some of the difficult decisions facing you and/or your business in regards to workers compensation, payroll, Professional Employer Organizations (PEOs), wireless devices, Customer Relationship Management (CRM) technologies, website development, and social media. Since we believe in helping our clients make sound buying decisions, we thought we would provide a few insights to our readers and followers, as to what you should be asking yourself before making any purchase decision in these respected segments. Is the company a privately held or publicly traded company? How long has the organization been in business? Where are the companies service centers located? Can you visit the location? Does the company have internal or external auditors? In case you need to file a claim, who are the contacts, or what support will the company provide? Is there or will there be an added charge? Does the provider provide protection against secondary tax liabilities? What protection do you have against insurance coverage limitations and/or payroll processing? Is the carrier regional, national, or worldwide? Is the device(s) locked or unlocked? Can the device be unlocked if currently locked? Will you be locked into a long-term agreement and if so what are the terms if you cannot honor the agreement? Is the CRM solution (HOSTED) external to the company such as SalesForce, NetSuite, or Oracle, etc? Is the CRM solution (ON-PREMISE) and runs at your home or place of business such as SugarCRM, Microsoft, Seibel, ACT, etc? Is the CRM solution (HYBRID), which is a combination of hosted and on-premise solutions? How will the CRM company or you protect your confidential data? What are the back-up systems used and where are they located in case of an emergency? Does or will the CRM solution you choose provide customer support? Is the company and/or person reputable and how long have they been in the business? How compatible is the platform you will be developing with other developmental mediums? What are the true costs associated with maintenance, upgrades, new designs, etc? Are the mediums that you want geared towards your personal or business goals and/or target markets? Will the chosen mediums increase your Google search rankings and if so how will this be measured? As with any service offering there are a lot of questions that go into deciding what service you may ultimately decide on but if not asked prior more times than not you may find yourself using people, systems, or companies that are not part of your long-term goals. Albeit, many time we as consumers make purchasing decisions based on emotion, if you take the emotions out and ask yourself a few simple questions, in the long-run you will be glad you did even if it turned out to be the wrong decision. The thing to remember is consider a person or businesses experience, credentials, education, and take the extra time needed to look under the hood before making any irrational purchase decision, as we are sure you will be glad that you did. Obviously, the questions stated are only a start, so if we can help you or your company come up with answers that you may have in regards to one of our consulting segments please do not hesitate to reach out or contact us via Phone, Email, Social Media, or connect with David Dandaneaudirectly. After all and as our motto goes, we help you manage your life and business, so you don’t have to manage your processes! In different markets across the globe there are still many organizations out there that are still undeveloped or lack a clear understanding of the real benefits that CRM can provide their company and long-term strategies. It is no secret that a company’s relationship with its customers cannot only strengthen the organization internally but also externally by providing its customers with superior service and added benefits. Therefore, if organizations want to achieve higher customer retention, customer acquisition, and customer development and/or want their customers to be more satisfied, thus increasing the organizations revenues and profitability then more companies will have to build different systems or focus on different customer behaviors based on company, size, and location. What INFLUENCE does Customer Relationship Management #CRM Processes have on Management Performance & Client Retention?